Are There Any Downsides to Hardie Board Siding? Is Hardie Board Siding an Environmentally Responsible Choice? What’s the Best Way to Maintain My Hardie Board Siding? Looking to drastically overhaul the appearance of your home without breaking the bank? Hardie board siding is a cost-effective way to transform the appearance of your home. Whether you want to create the look of cedar shingles, natural stone, or clapboard siding, hardie board siding has a solution for you at a more moderate cost and improved durability versus the “real thing.” New siding is also one of the best mid-size remodeling projects in which you can invest. According to the 2016 Cost vs. Value report, replacing your siding can yield a 77% rate of return on your investment. Fire Resistance- Hardie board siding is 90% sand and cement which makes it exceptionally resistant to fire. You may even be able to get a discount on your home insurance premiums for installing hardie board siding. Storm Resistance- If you live in an area that experiences frequent storms that include hail and high winds, hardie board is proven to stand up to even the worst storms without sustaining damage. Longevity- Verify with the manufacturer, but most hardie board siding comes with a 50 year, limited transferable warranty. Hardie board siding is completely rot and insect resistant and can even handle salt spray from the ocean. Appearance- Hardie board siding can be made to convincingly mimic just about any other siding material including wood lap boards, cedar shingles, and wood shake siding. 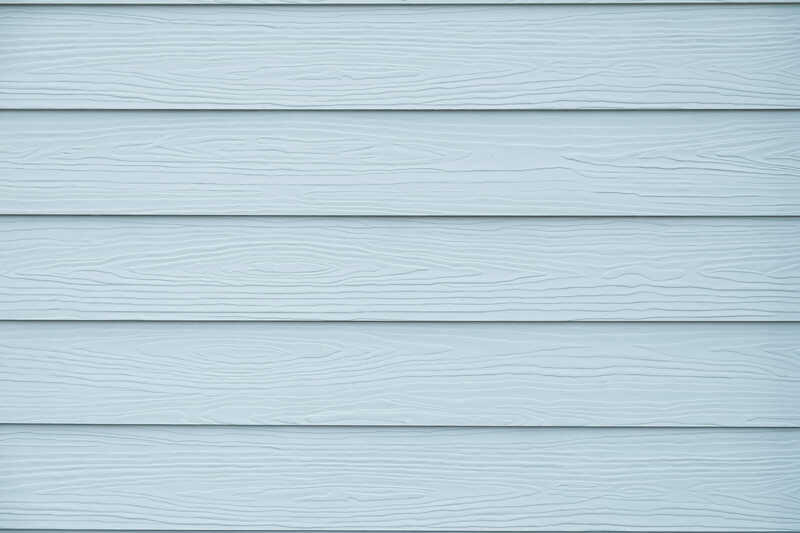 Color options are virtually unlimited and while almost all siding no matter what the type will experience fading, hardie board siding typically comes with a 10-15 year warranty on the finish as well. The two biggest drawbacks of hardie board siding are the cost and the weight, and the two actually go hand-in-hand. The high installation and labor cost comes from the weight of hardie board. It requires professional installation– definitely not a DIY project– as it weighs about 300 pounds (per 100 square feet) compared to 60-70 pounds for vinyl siding and requires significantly more resources to install than other siding materials. Compared to the most common types of siding (vinyl, wood, aluminum), hardie board is a very environmentally sustainable choice because it last the lifetime of your home. Thus, you will not have to send waste to the landfill from having to install new siding every ten years. Additionally, Hardie Board is a brand that is committed to sustainability. They source 90% of their materials from regional suppliers, reducing carbon dioxide emissions from long-haul transportation to production facilities. Hardie board manufacturers also employ waste minimization and solid waste recycling technologies to support Zero to Landfill initiatives. To decrease your own environmental footprint, not to mention saving money on your monthly utility bills, you can also add HardieWrap weather barrier to your siding installation. HardieWrap serves as both a water resistive barrier and as an air barrier. It is installed over the sheathing, beneath the exterior siding (cladding) to reduce water infiltration and air infiltration, while allowing potentially damaging water to escape from the building interior. Washing down the exterior surfaces every 6 to 12 months with a garden hose or low pressure water spray to remove dirt and debris. For stubborn dirt or stains, a mild detergent and a soft brush may be used. Clean out your gutters, blocked pipes, and overflows as required. Reapply caulking when it has begun to show signs of wear. This can help keep moisture from getting into the wall cavity. James Hardie recommends the use of caulks and sealants that remain permanently flexible. Look for the words “permanently flexible” written clearly on the label or in the accompanying literature. It is a good practice to keep vegetation such as shrubs, bushes, and small trees trimmed back and away from the home and siding. This will also help to ensure that sprinkler systems do not saturate areas near the building.